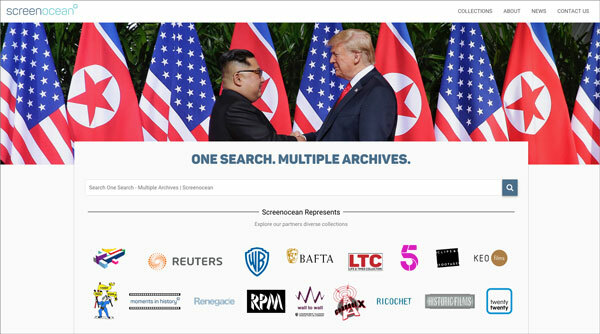 Screenocean�s pioneering One Search platform allows you to search across all of their represented collections in the same place for the first time, giving researchers a new and dynamic way to search for footage. Powered by Imagen�s Enterprise Video Platform, with just one search, you can view results from multiple archives, including Reuters, Channel 4, Clips & Footage, BAFTA, and more. Filter results by collection, date or genre to easily find footage best suited to your projects.